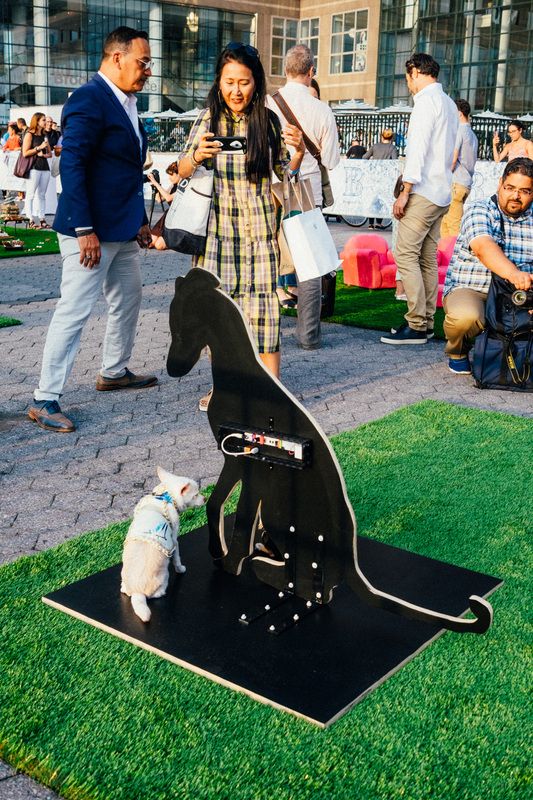 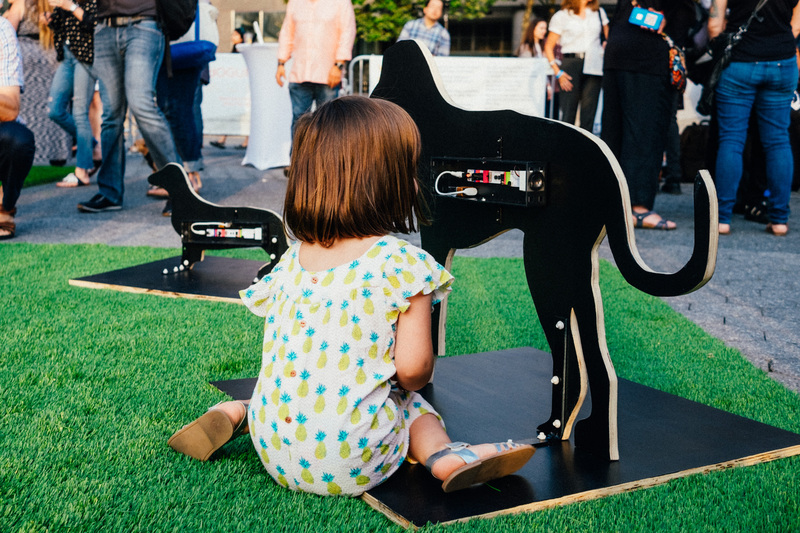 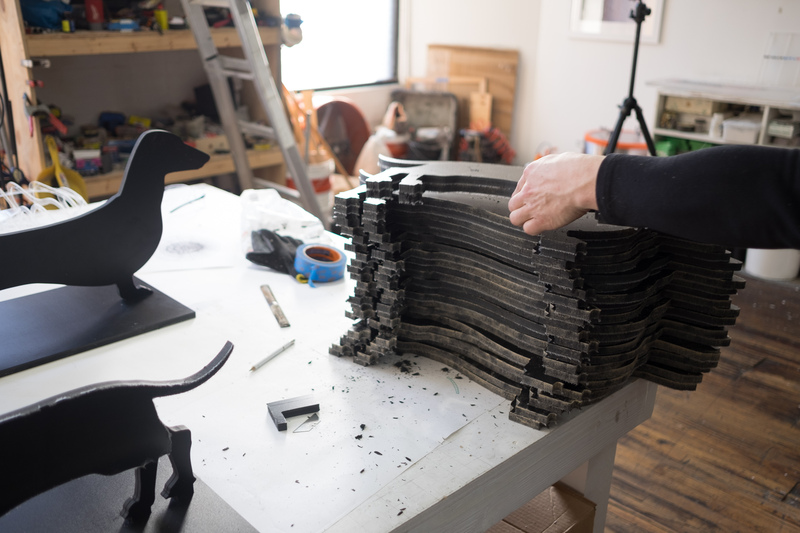 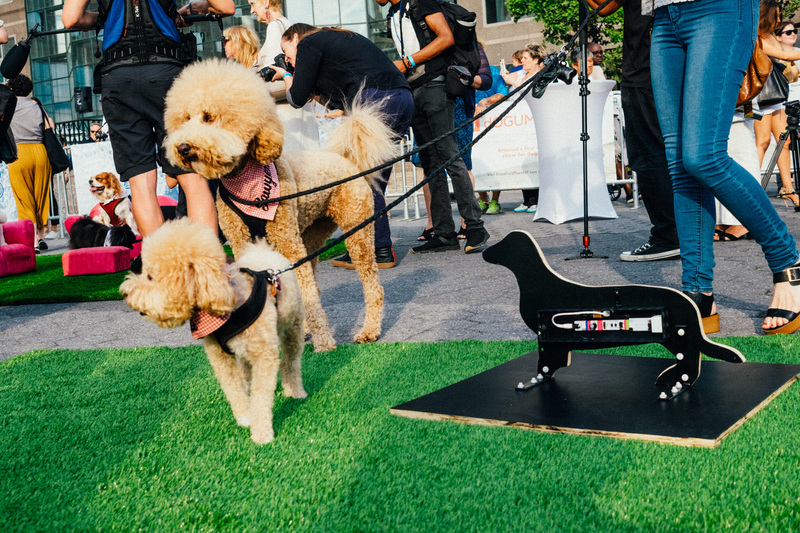 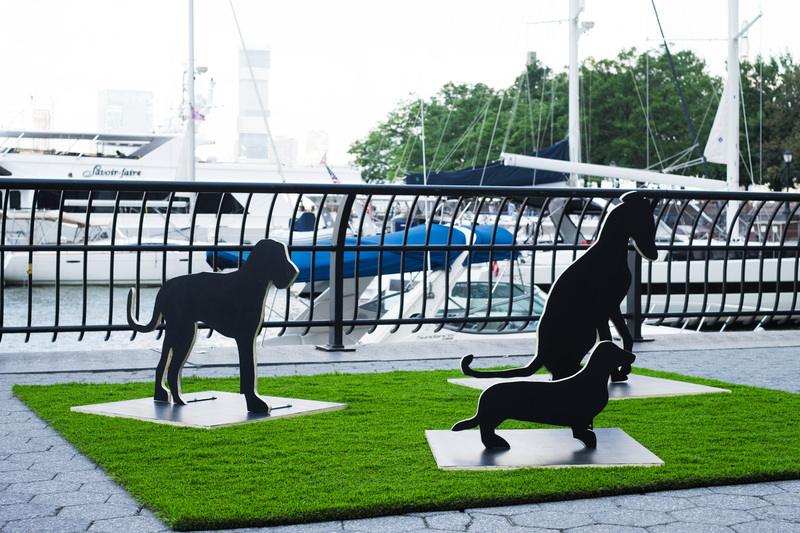 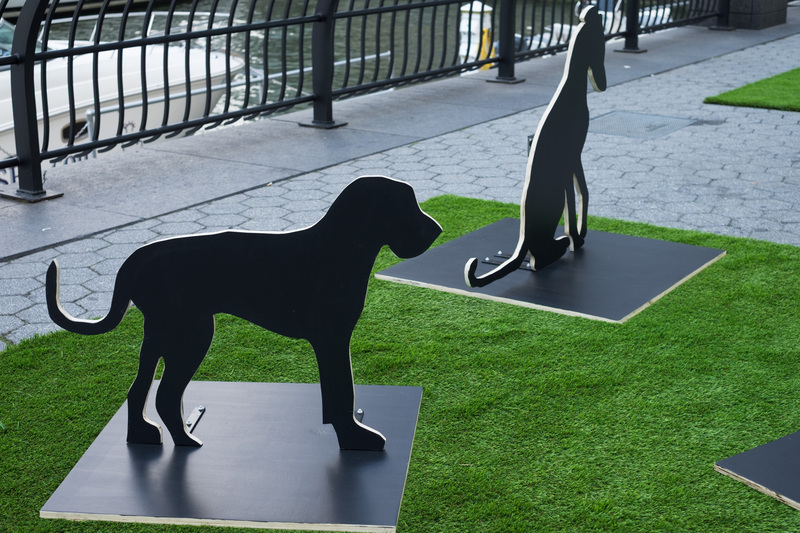 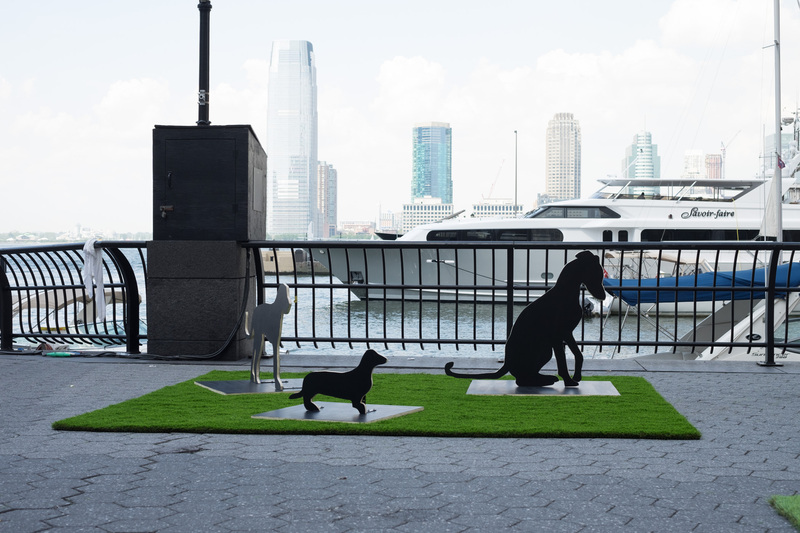 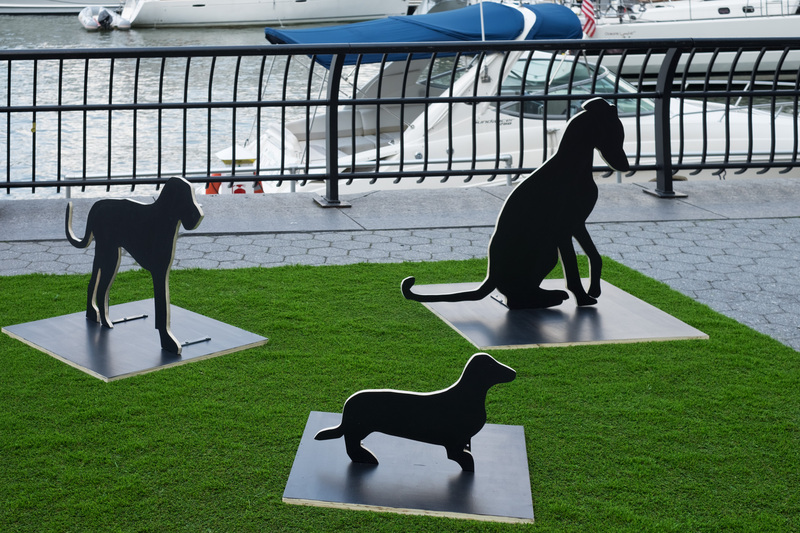 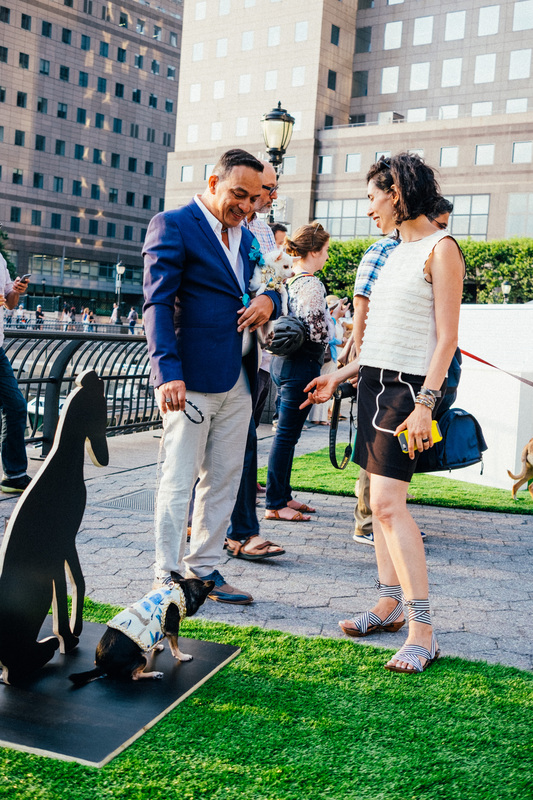 TOM, the first-ever artwork made exclusively for the canine collector, allows pups to live alongside an important artwork and build a collection just as their human companions do. 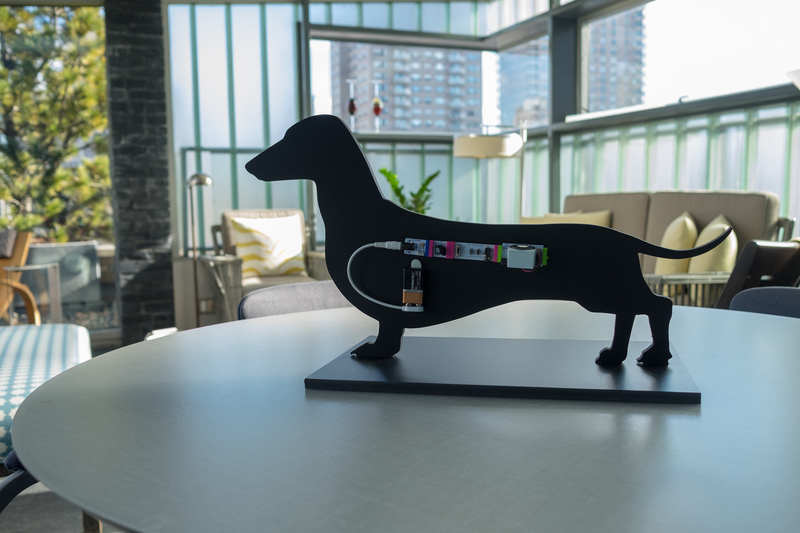 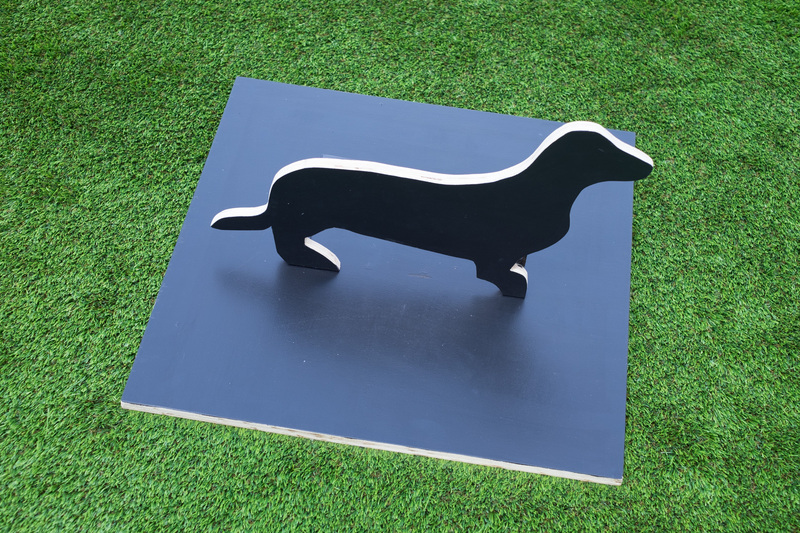 TOM represents a new breed — part Dachshund, part Artificial Intelligence — capable of communicating with canines through a stylized vocabulary of visual and audio cues. 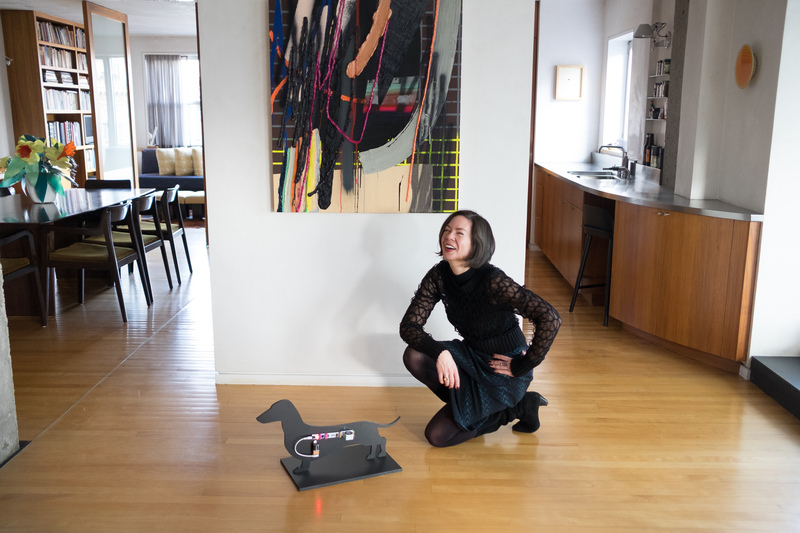 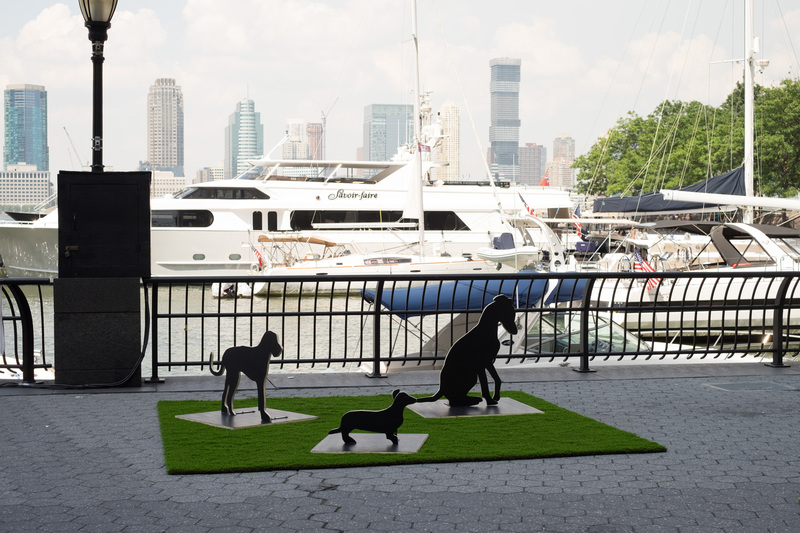 The work encourages conversation between pup and artwork and invites dogs to ponder existential questions of identity. 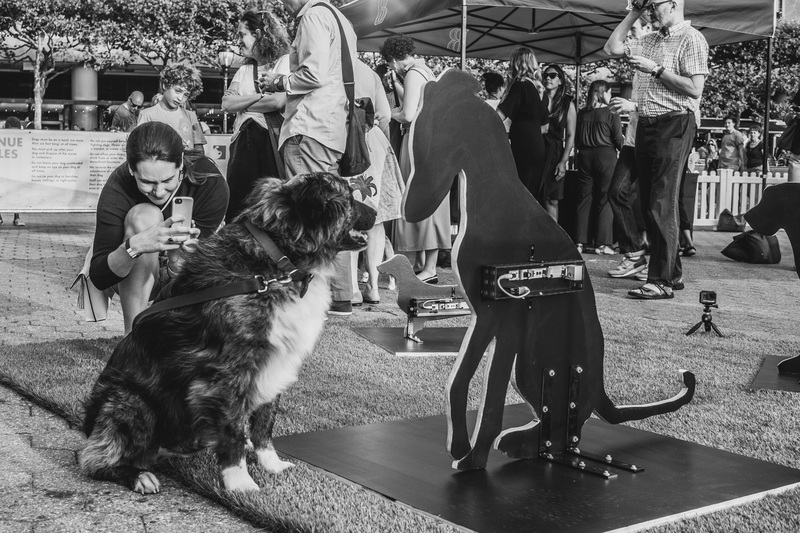 TOM is fitted with high-tech components that, when set to the “On” position, sense motion and engage in a dialog with your pup through a series of breed-specific barking sounds. 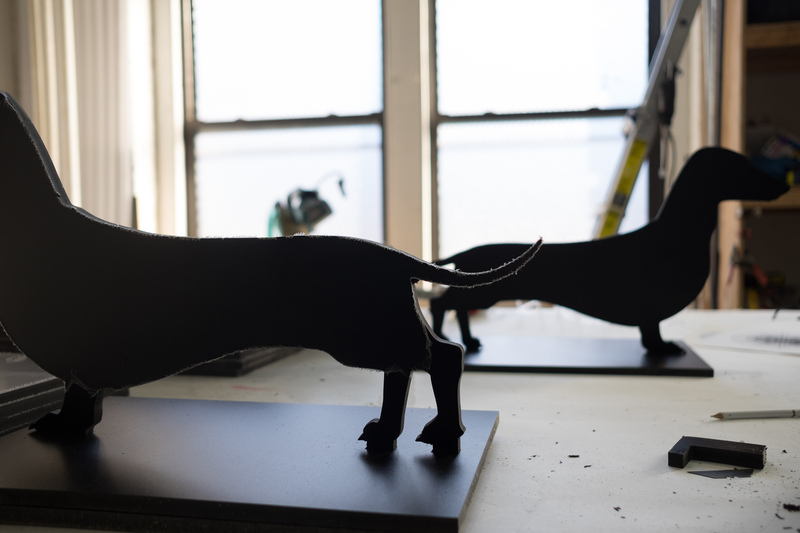 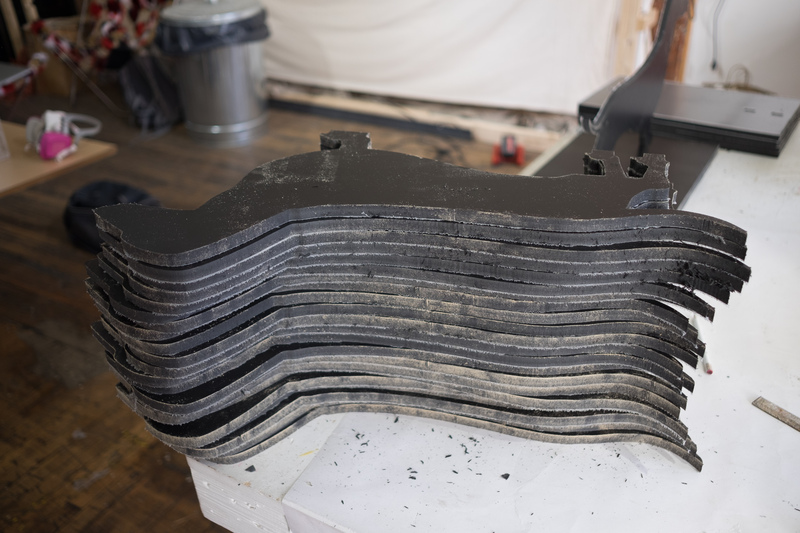 Every TOM is hand-crafted by A Couple of Artists in Broooklyn, NY.